A thousand times fainter than Jupiter, Uranus is barely visible to the naked eye. Viewed through a telescope, it looks like a small, featureless, blue-green disc. Five large natural satellites were discovered around Uranus between 1787 and 1948: Titania, Oberon, Ariel, Umbriel and Miranda. It was not until 1977 that stellar occultation revealed Uranus’ 9 dark, narrow rings of matter. Occultation occurs when a planet passes in front of a star, momentarily blocking out its light, and is the only time Uranus’ rings are visible from Earth. 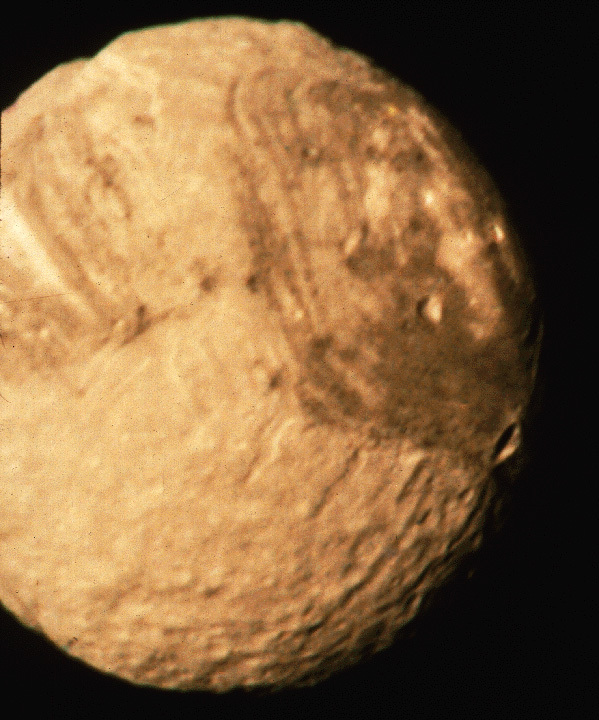 More has been known about Uranus since the US probe Voyager 2 performed a flyby in 1986. As it passed, just 107,000 kilometres from the planet’s centre, its suite of instruments took numerous measurements and some spectacular shots of the planet and its rings and satellites. Scientists learned more about Uranus in those 6 hours than in more that 200 years of Earth-based observations, and discovered some 10 new satellites plus an additional ring. Voyager 2 was able to visit all 4 giant outer planets thanks to a rare planetary alignment. Its observations of Uranus have been supplemented with shots taken by the Hubble Space Telescope. 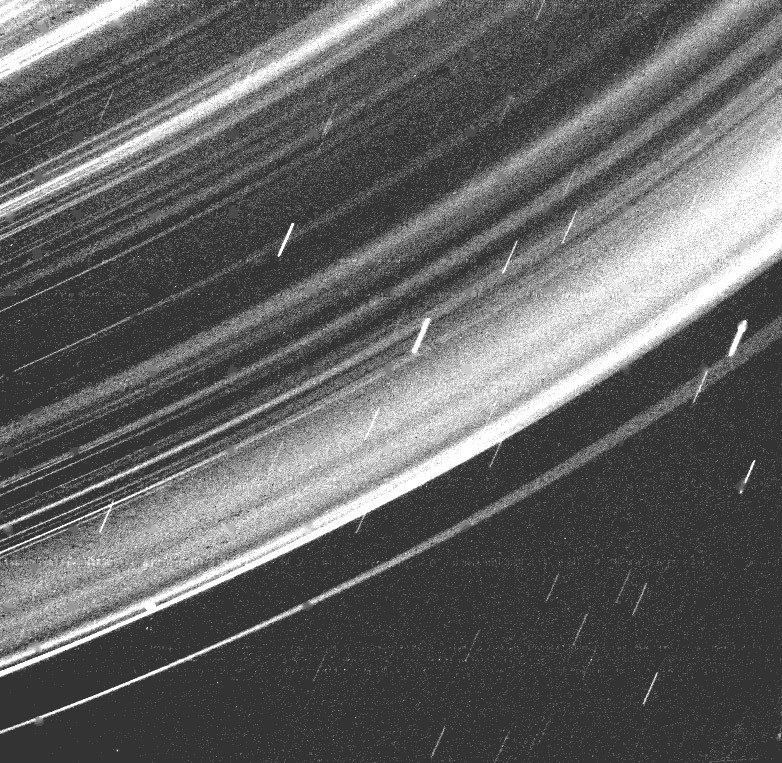 Unfortunately, with no further missions to Uranus planned for the foreseable future, the wealth of information gathered by Voyager 2 may not be added to for many years. …as you descended through Uranus’s atmosphere, the gas would get thicker and thicker before finally turning to liquid.